Rachamankha a Member of Secret Retreats Hotel - Old City, Chiang Mai, Thailand - Great discounted rates! 8.9 out of 10 based on 783 verified user reviews via Agoda. 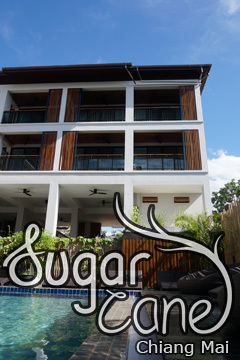 Rachamankha a Member of Secret Retreats Hotel is perfectly located for both business and leisure guests in Chiang Mai. Featuring a complete list of amenities, guests will find their stay at the property a comfortable one. To be found at the hotel are free Wi-Fi in all rooms, 24-hour security, daily housekeeping, fireplace, gift souvenir shop. Designed for comfort, selected guestrooms offer television LCD plasma screen, internet access ?ÛÒ wireless, internet access ?ÛÒ wireless (complimentary), non smoking rooms, air conditioning to ensure a restful night. Enjoy the hotel's recreational facilities, including hiking trails, golf course (within 3 km), outdoor pool, massage, garden, before retiring to your room for a well-deserved rest. For reliable service and professional staff, Rachamankha a Member of Secret Retreats Hotel caters to your needs. Rachamankha a Member of Secret Retreats Hotel - Chiang Mai classifies itself as a 4 star hotel.